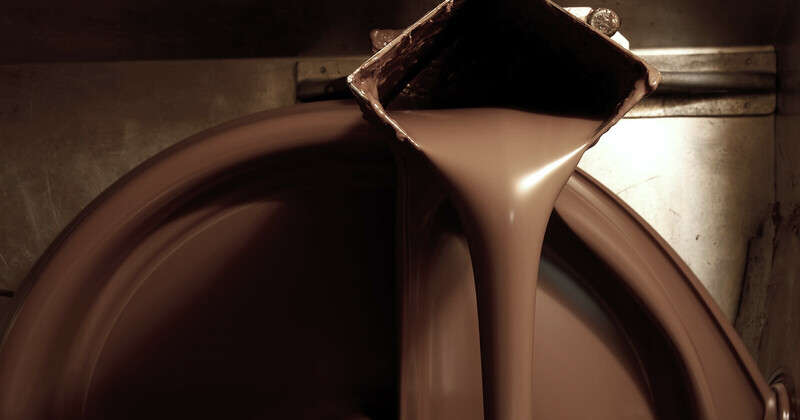 Well-known Austrian chocolate brand Zotter doesn’t just produce excellent chocolate but also gives fans and customers insight into the manufacturing process at their cutting-edge factory in Styria. 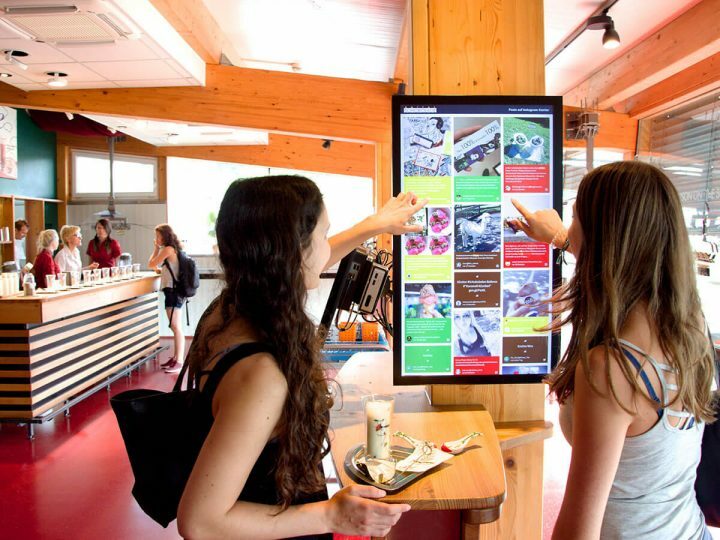 Zotter has recently implemented a physical display of the social media wall in the Zotter tasting tour, where visitors get a chance to try out the many Zotter flavours while interacting with the brand on social media using the hashtag #zotter. Zotter has set up the social media wall for multiple reasons. For one, the hashtag and social media wall allow the social media team to keep track of social media postings about the brand. Furthermore, by setting up the wall on a screen at the company, Zotter employees can see how their hard work affects customer happiness. And the social wall embed on the Zotter website serves to keep the website current even when the blog isn’t constantly updated with new content. We had a chat with Florian Figl, content manager at Zotter Austria about the #zotter social wall and all it entails. Florian told us not only about how well having a social media wall is working for Zotter but also gave us a refreshingly honest insight into which areas he still wants to improve upon in the future. What were your reasons for setting up a social brand hub and what are you using it for? We wanted to make our earned social media content more visible in order to increase engagement. At the same time, we also wanted to make our employees, who work in many different fields other than marketing, more aware of how their commitment to work and customer service is appreciated by visitors and fans of our brand. We are not only displaying our own social media content on a touch display in our visitor area but also pulling every user-generated post from our Facebook page, as well as tweets and Instagram posts containing #zotter. In the end, it also helps us keep track and engage with the huge amounts of social media postings created by our fans and followers, that otherwise might not address us directly. It’s a perfect supplement to Swat.io, our main social media tool for content creation and community management. How long have you been using your social brand hub and how do visitors generally react to seeing social media content happen live in the Zotter tasting tour? We just implemented Walls.io on a touch display at the drinking chocolate bar this summer. Surprisingly, the first reactions we saw were users sharing photos of the social wall, displaying their latest Instagram post they took minutes before while tasting chocolate. Now we are trying to figure out what other locations might be a perfect match for “a place to linger” and encouraging people to instantly upload content. How are you using Walls.io on your website? On our website, Walls.io displays our own and user-generated content just above the footer. So even if we don’t publish new entries to our news section or blog, we will have fresh content to show almost every few minutes. How are you telling people about your hashtag and motivating them to use it in their posts? This is definitely something we want to improve even further in the near future. Right now, we are using the Walls.io standard feature with rotating messages in the upper right corner of the social wall, like “Post on Twitter: #Zotter”. We also promoted our new social wall touch display with a Facebook posting and asked our colleagues, who work in the visitor area, to carefully inform people about the new touch point. What led you to choose Walls.io for your social hub? I’ve known Walls.io for years and it’s simply the best social hub tool out there. What advice would you give other brands considering setting up a social brand hub of their own? If your brand is already seeing lots of user-generated content, make sure you have the resources to carefully moderate it. Although you can use black or white lists, it is still the best idea to use some brain power and decide manually if you really want to hide a certain post on your wall or not. It’s also a chance to challenge your existing social media guidelines and adapt them, if necessary. Before encouraging people to share even more brand-related content, I recommend you take your time to engage and appreciate the already existing content through likes and comments. The Zotter showcase demonstrates well that a social media wall can have multiple uses for a brand. It doesn’t just serve as a neat way of collecting social media posts in one place or a way to show off these posts to customers. Zotter has discovered that the best side-effect of a publicly displayed social media wall is that employees also get something out of it. They get to see live how their hard work pays off and contributes to customer happiness and that, in turn, motivates them and makes them happier in their work. We’re looking forward to seeing what else the #zotter wall will do for the brand and what kind of user-generated content the social wall in the showroom will spark in the future. After all, chocolate will always be intensely shareable — at least on social media, because if you’re anything like me you won’t want to share your actual bars of chocolate with anyone. Get your own brand wall with Walls.io!